No less that two decades ago, people had to spend quite a hefty amount of time standing in line at a bank to get their hands on their own money. 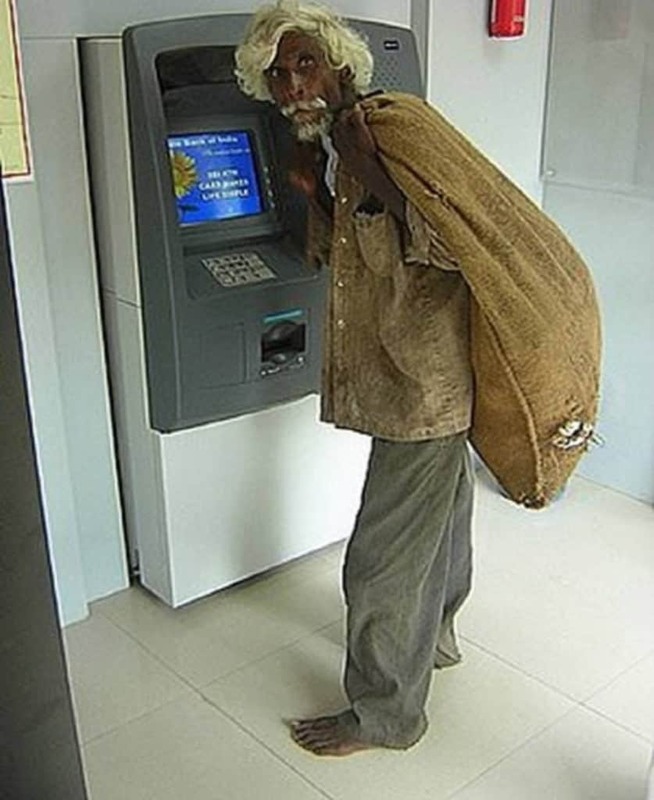 For those who have suffered in long lines just to get some cash, an ATM must have been an absolute godsend. 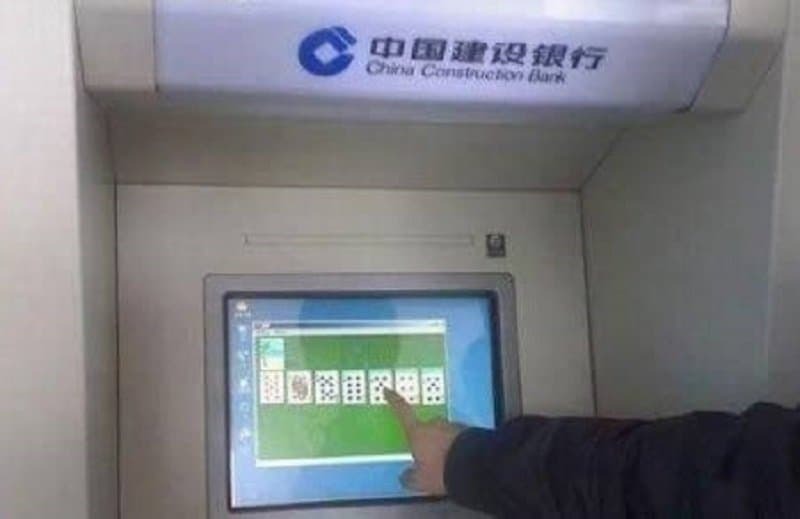 Everyone needs money, and everyone can be seen an ATM at some point. An ATM sees more diversity than any other public location in the world. This list involves some strange instances of people visiting an ATM. 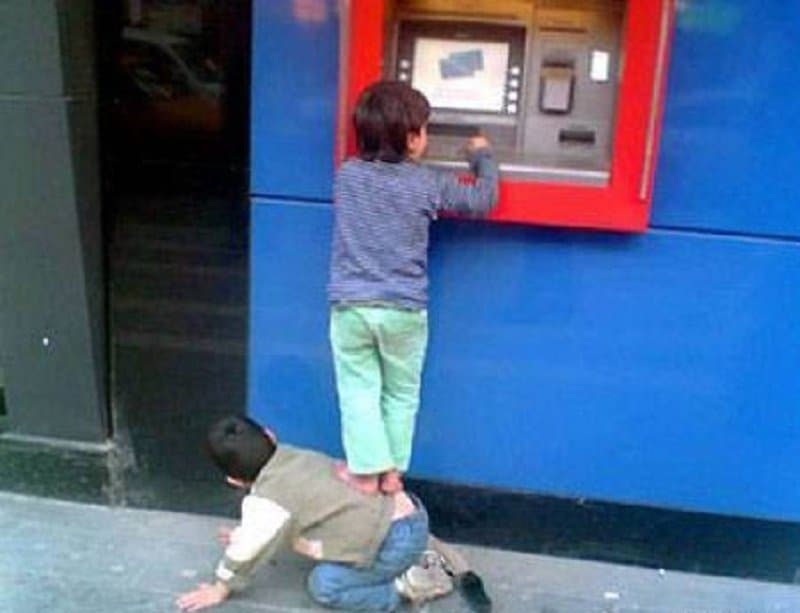 These kids probably think this ATM is a video game of some sort, and they must be taking turns playing with the machine. The best and most important aspect of an ATM is its convenience. When you build one that can be accessed only be the tallest people in the world, it negates the entire point. We can only assume that this person is offering the ATM a lap dance in return for some cash. 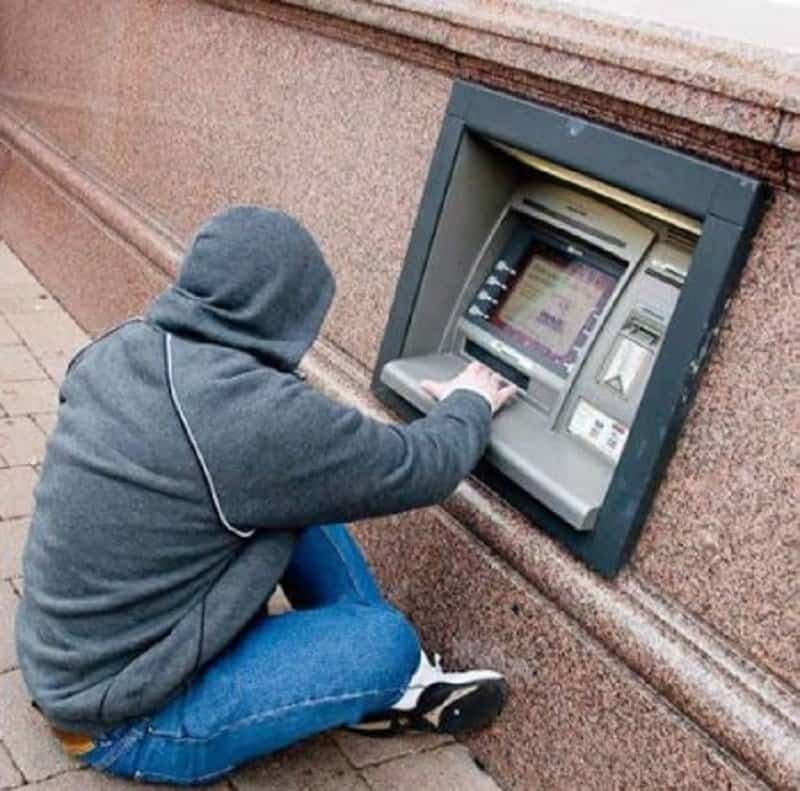 Take a seat, withdraw some cash, check your balance, just relax man! 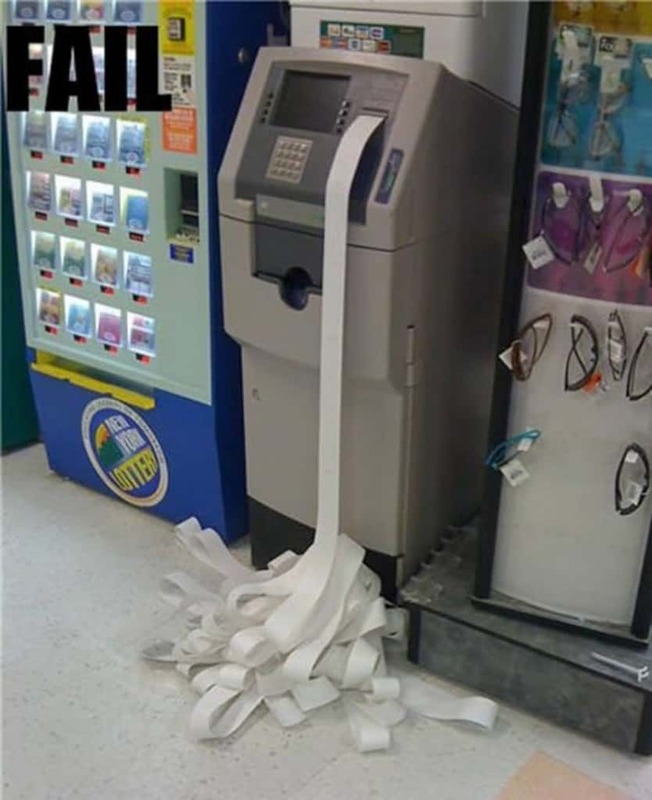 ATM’s can be pretty quick with dispensing cash, but unfortunately for this lady, it wasn’t quick enough. 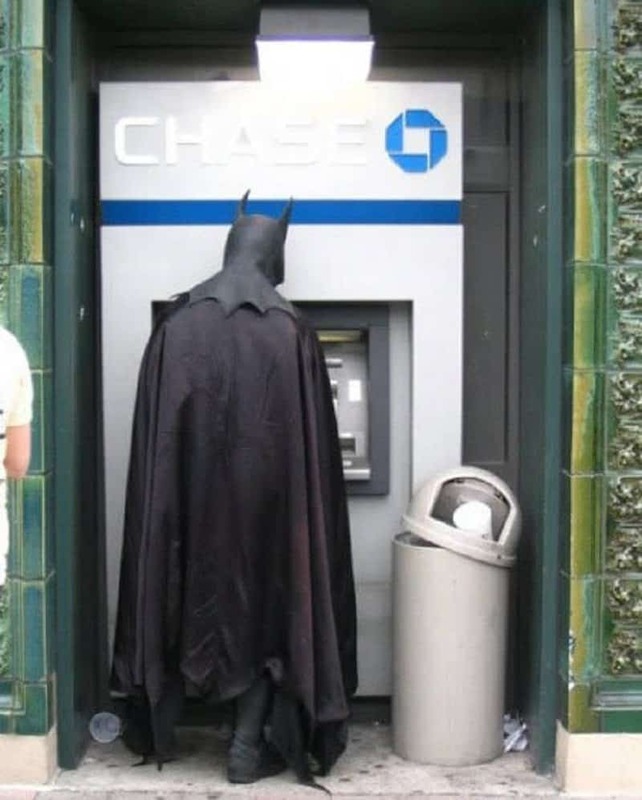 When you are a superhero, and you need to invest in a whole bunch of cool gadgets and accessories, you need to make several trips to the nearest ATM. Does this hobo have a secret bank account that he is keeping from his wife and kids? Got no cash in your account? How about a nice game of solitaire to soothe your nerves. 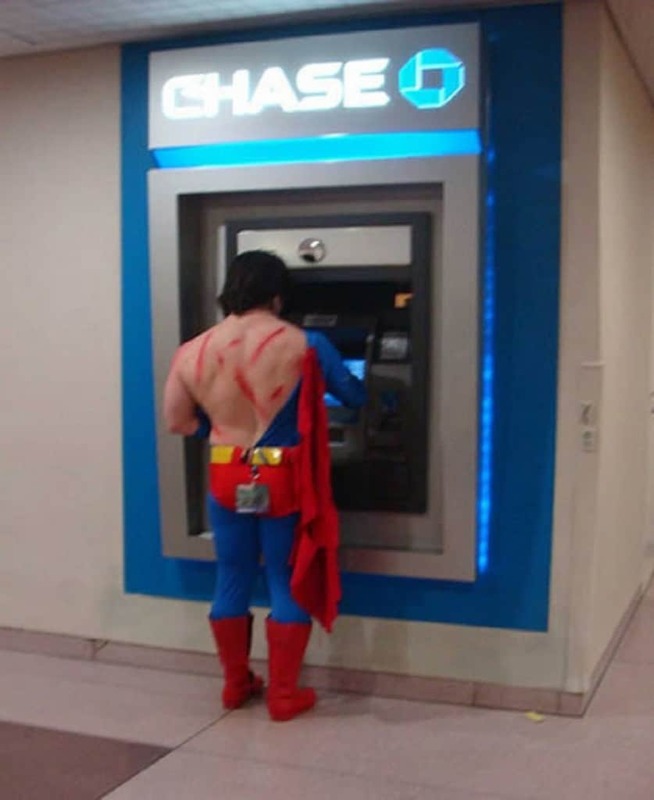 The only thing you can do after a grueling brawl when you are a superhero is withdraw some cash and buy yourself a new costume. 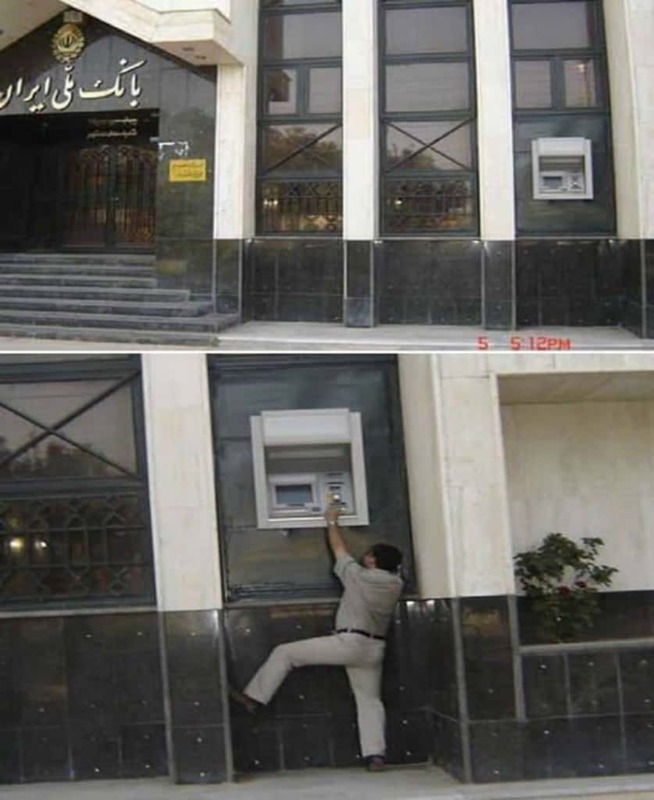 This ATM is working extremely hard, even though no one is operating it and no one wants anything from it.